HomeTowne Studios by Red Roof of Houston - West Oaks is a flexible extended stay hotel with daily, weekly and monthly rates. With 145 rooms, we offer both one and two bed studios as well as accessiblity options. All HomeTowne Studios by Red Roof properties feature kitchenettes with full-sized refrigerators, FREE in-room Wi-Fi, HD flat-screen TVs with cable, weekly housekeeping and more. 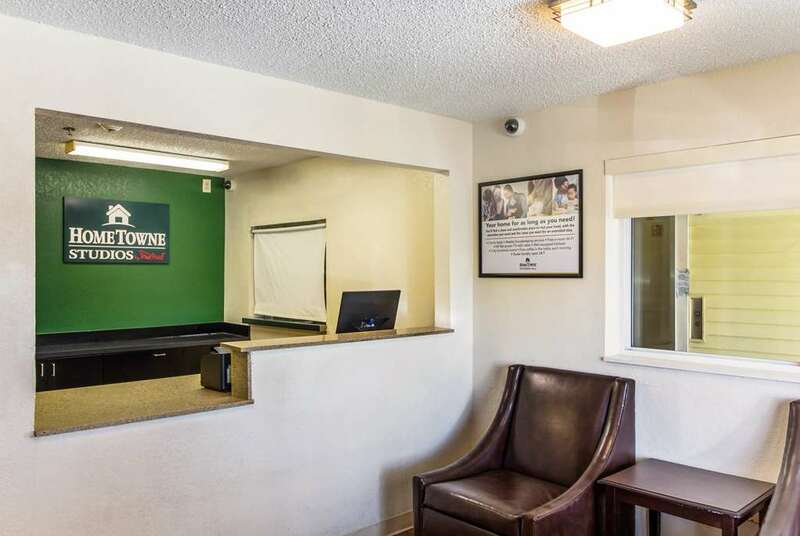 Our extended stay hotel in Houston boasts a very convenient location, with easy access to nearby amenities. Walk or take a short drive to nearby Chili's Grill & Bar, McDonald's, Marble Slab Creamery, among many other options. Get all your essentials at CVS, Walmart, Aldi and more. West Oaks Mall is just around the corner for all of your shopping needs. Explore our interactive map to see all of the nearby amenities. Outpost of a longtime Texas-based chain serving signature hot dogs, burgers & chili, plus ice cream. Cubanos, empanadas & ropa vieja share the menu with desserts & kids' meals at this strip-mall spot. Nautical-themed seafood house serving up Cajun-style specialties such as boiled crawfish & crabs. Basic spot for Chinese standards, including vegetarian options, in an unassuming strip-mall setting. Massive indoor spot featuring bowling, rides, arcade games, go-karts, roller skating & more. Huge arena with a retractable roof hosting Houston Texans football games, rodeos, concerts & more. Small private research school known for its engineering & science programs & Museum District campus.